When we were in Carmel recently, we made sure and left ourselves some time to make our way along the 17 Mile Drive. 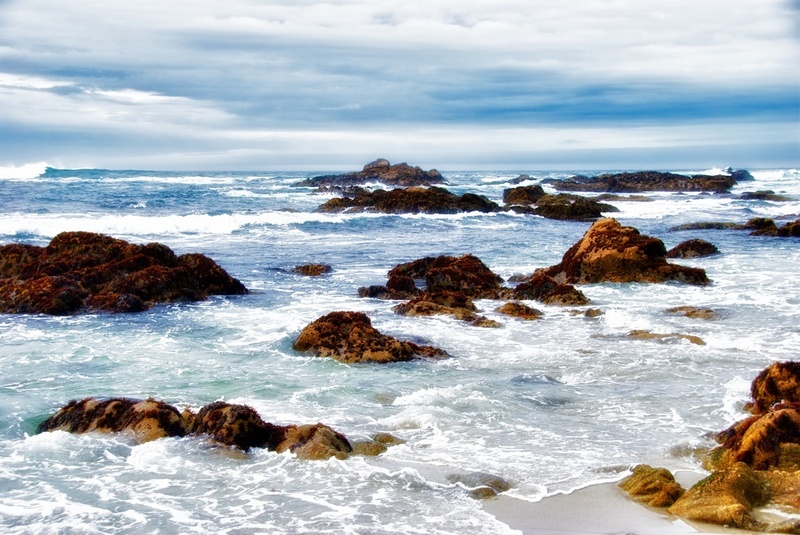 It's the famous drive that meanders along the coast, next to Pebble Beach, the Lone Cypress, and the Inn at Spanish Bay (among other things). There is a fairly long stretch that runs right next to the ocean, and at every turn there is one amazing view after another! It's really beautiful out there, and the beaches are just the style I like best - rocky and interesting. We would drive along, stop so I could jump out and shoot, drive another little bit, shoot some more - we did this for a while. It's tough sometimes being the photographer when the rest of the family is ready to move on. "But wait, there is so much more for me to shoot!" Anyways, this is from one of those many stops. I was walking along the beach, trying to frame cool shots and avoid getting my shoes full of salt water - I mostly succeeded, at least with that first part!